By popular request, PDF Studio now comes with a Spell Checker. Spell check highlights misspelled words when creating text annotations, typing annotation comments, and filling interactive form fields. Users are able to set various options including highlight color, ignore all caps or numbers, and add/edit custom words to the dictionary. PDF Studio 11 offers 9 different languages options and even support spell checking more than one language at the same time! Languages supported are Arabic, Dutch, English, French, German, Italian, Polish, Russian, Spanish. PDF Studio 11 also introduces a brand new OCR engine that now supports non-Latin and CJK languages. A total of 46 new OCR languages are now available such as Chinese (simplified & traditional), Japanese, Hindi, Arabic, and many more. In addition to the new languages, PDF Studio also has the ability to select 2 languages at once to use when OCRing documents containing multiple languages on each page. Professionals in the printing industry will enjoy the new Output Preview including overprint simulation. Output preview is used to simulate how the document will look once printed using different color profiles such as CMYK, RGB, and grey. Overprint simulates how overlapping colors will look when mixed on the page. 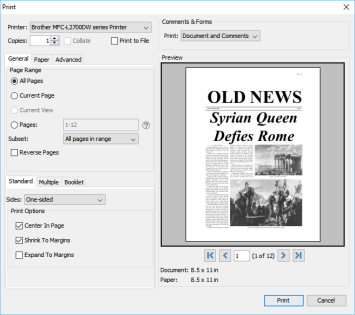 The new dialog can easily switch between print simulation and display and the background color of the document can also be changed to simulate printing on different colored paper. PDF Studio 11 comes with a New Enhanced Print Dialog with new features including Print Preview, Print to file, and booklet printing. Print Preview allows users to see what the document look like prior to being printed and adjustments can be made in real time if necessary. Print to file creates a .prn file instead of printing directly to the printer. Useful if you need to send the document to a printing press that only prints on a specific printer. Booklet printing turns a multi-page document into a folded booklet. 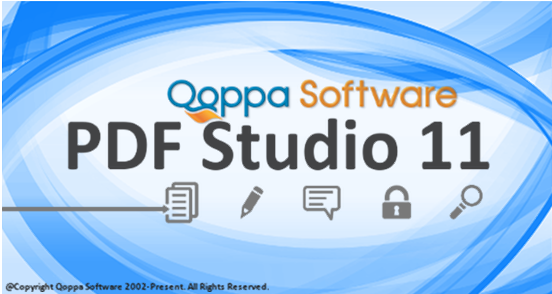 This entry was posted in PDF Studio on June 9, 2016 by qoppacom.